﻿ Soop and Soop Pension, Pyeongchang-gun | FROM $67 - SAVE ON AGODA! Have a question for Soop and Soop Pension? "The facilities in the room is amazing." "We had a warm welcome from host Mr Kim." "Very friendly and helpful host." 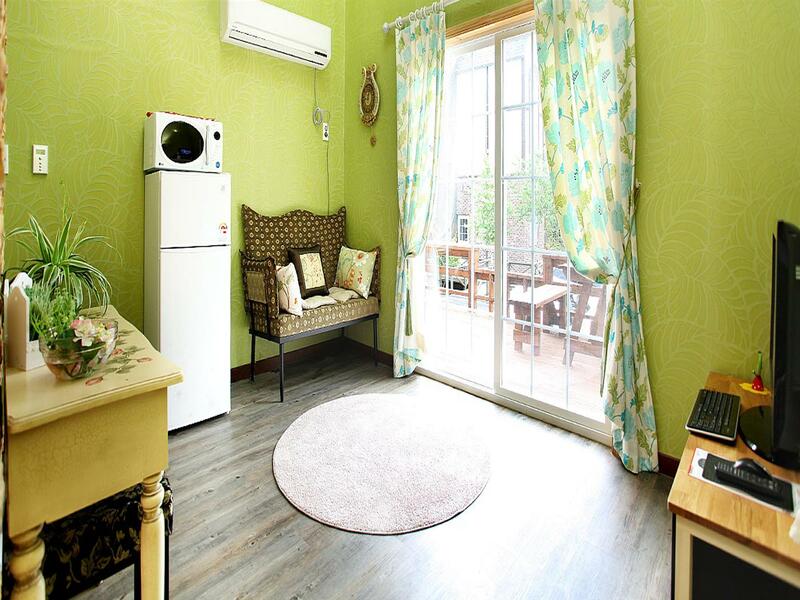 Designed for both business and leisure travel, Soop and Soop Pension is ideally situated in Daegwalnyeong-myeon; one of the city's most popular locales. From here, guests can enjoy easy access to all that the lively city has to offer. With its convenient location, the hotel offers easy access to the city's must-see destinations. Take advantage of a wealth of unrivaled services and amenities at this Pyeongchang-gun hotel. To name a few of the hotel's facilities, there are free Wi-Fi in all rooms, convenience store, portable wi-fi rental, taxi service, ticket service. All guest accommodations feature thoughtful amenities to ensure an unparalleled sense of comfort. Whether you're a fitness enthusiast or are just looking for a way to unwind after a hard day, you will be entertained by top-class recreational facilities such as ski equipment rentals, ski lessons, water park, golf course (on site), indoor pool. 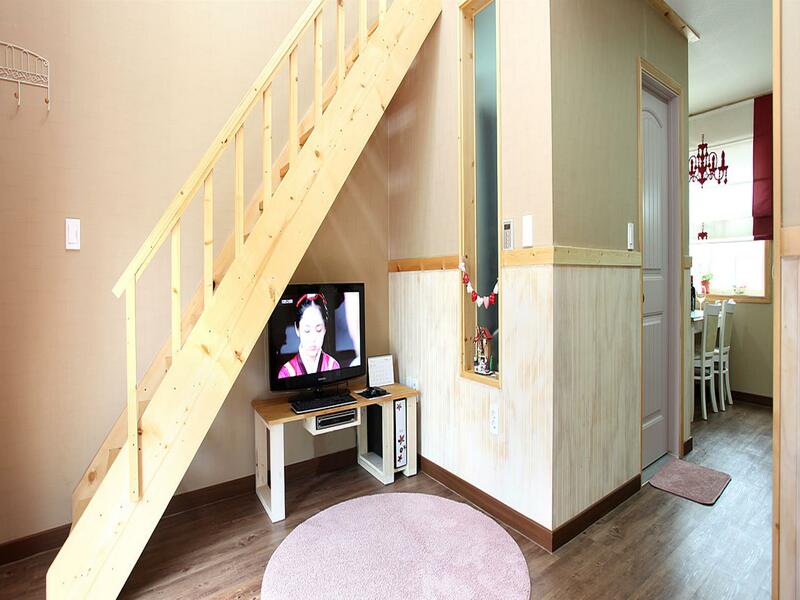 Superb facilities and an excellent location make the Soop and Soop Pension the perfect base from which to enjoy your stay in Pyeongchang-gun. Owners are bery accommodating. They are so nice to us. The place is clean and beautiful. We are so lucky because it’s snowing that day. The owner made good suggestions in local restaurants. He made transportation advice and helped calling taxi many times. He borrowed some chairs for ice fishing as well. A very nice place. Tranquil ambience. The owner is a friendly one. And next to it has a very cozy cafe. Not far from Pyeochang downtown and Alpensia ski resort. Spacious house. We had a warm welcome from host Mr Kim. He provide all the information we needed to wondering around. Great heated floor to make the room warm all time during cold winter. Less than 30 minutes drive to Alpensia Ski Resort & Samyang Ranch. Recommend for those with own transport. Very friendly and helpful host. Mr Kim took very good care of all our needs and queries. Very nice and cosy accommodations. Location is not nearby many amenities, but there is a cafe just beside the house, and a handful of other cafes within 500m around. However, Mr Kim will drive you downtown if you want to, and you can make your own way back via taxi. Ski session was booked through Mr Kim as well, amd he will drive you to collect all the ski equipment, as well as send you and fetch you from the ski resort. Breakfast with him can be purchased at 5000won, simple yet very appetising. All in all, it was a good experience and will recommend it to others to enjoy the experience there. The place is small but nice and clean but transport is costly to go to attractions. We paid KRW60,000 for 3 pax to Sheep Farm when it entrance is just KRW4000 per pax. Mr Kim is nice but since this is small business, he is not flexible to provide shuttle service and keep saying he is busy. We paid peak rate due to holiday and yet no breakfast. Would be good to have free shuttle for guest and breakfast otherwise better to stay hotels near Ski resort. 1. I booked double room for 3 people. First, our room is really large and comfortable for 3 people. The facilities in the room is amazing. You'll find that you can stay there for a week because you have all kitchenware for cooking, free toiletries and towel. We're very pleasant with our cleanliness, cozy, beautiful room. We had good breakfast with reasonable price. The surrounding scenery is exceptional and the hill behind this pension is a place for sledding in winter. 2. This place is close to Hoenggye intercity bus terminal that you can take taxi from there for around 10 minutes. From Hoenggye terminal, we took free bus to Daegwallyeong sheep farm and Yongpyong ski resort. 3. Mr. Kim, who is the most impressive service provider. I feel appreciate with every helpful, kind, and his beyond expectation service. We arrived there at night, he sent us his address that it's easy for us to talk with the taxi driver. After we got there, he cooked us free Korean noodle and ordered chicken for us. It's delicious. I went to Pyeongchang by intercity bus and left my bag on that bus. Because of him, I got my bag back with nothing lost. In the morning, he drove us Hoenggye bus terminal for free again. I couldn't thank you enough.